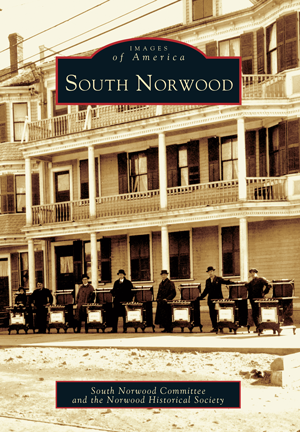 Beginning in the late nineteenth century, immigrants streamed into Norwood, attracted by work at industrial sites such as Morrill Ink Works, Norwood Press, and Bird & Sons. Arriving from Lithuania, Poland, Syria, and Italy, they took up residence in the southernmost section of town, nicknamed "the Flats." Facing prejudice and isolation from the more established community, the area became a self-contained neighborhood characterized by small businesses, ethnic cooperative markets, benevolent associations, and the St. George, St. Peter's, and St. George Orthodox parishes. Today, the immigrant population still thrives, and generations of families keep this melting pot alive with fairs, festivals, and neighbors who truly care about one another.